The Glove Up campaign was started by Annette and Tony Gibson in response to the death of, and as a dedication to, their son Jason Gibson. 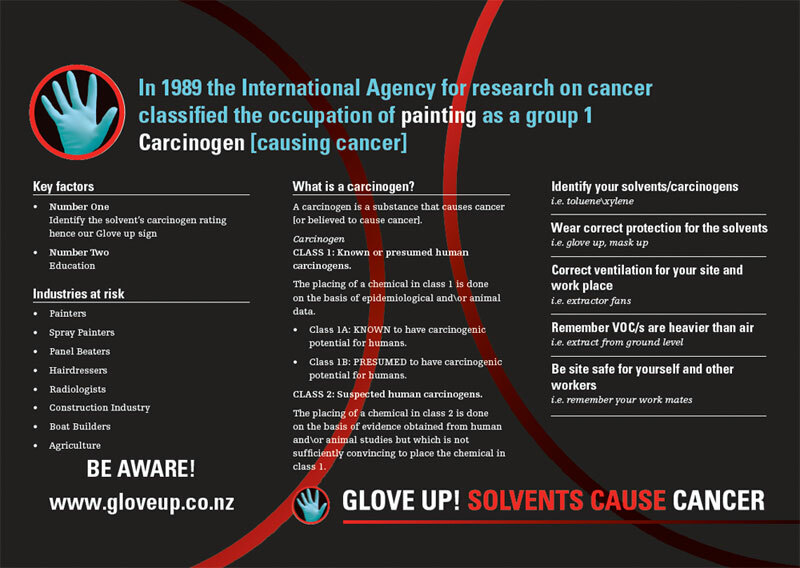 As part of the campaign, they have gathered together useful advice and information and produced the brochure below to provide basic information on the dangers of using solvents in the workplace and how to protect yourself from exposure. Download a pdf copy. You'll need Acrobat Reader. Order your free glove up stickers. 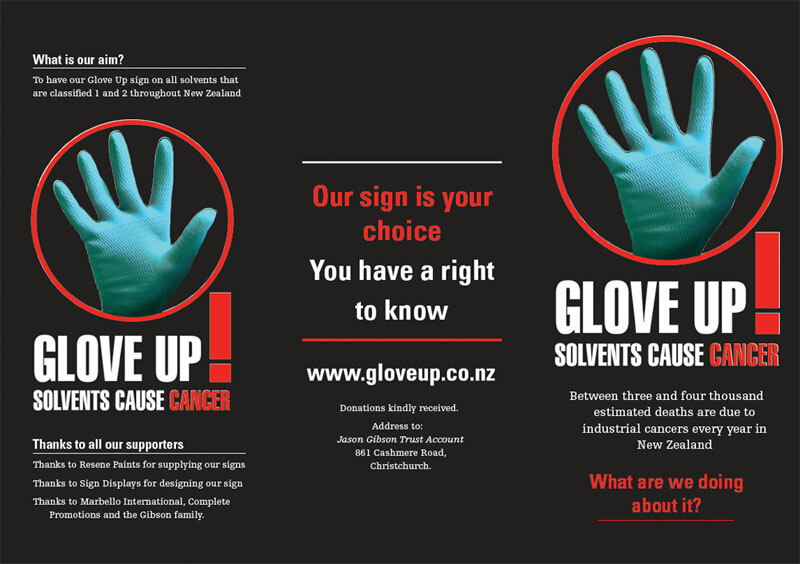 Visit the Glove up website. View Resene Putting your safety first brochure.